When it gets to Winter I think all of us crack out the more intensive skincare, the nourishing masks, and the thick body creams, as well as the lip balms. If anyone is like myself, the balm section of your lip drawer is overflowing and you aren't quite sure which ones you should reach for. I have 2 budget friendly recommendations that I use constantly to keep my lips ready for whatever weather (and lip stick) is thrown at them. The first is one I've used numerous tubes of - Nivea Milk & Honey. It's thick, smells really natural and almost somehow cosy, and does one hell of a job at keeping the lips nourished. I use this in the morning before makeup application, as well as in the evenings among my skincare routine upon makeup removal. This is usually about £3 so doesn't break the bank and lasts quite a while. 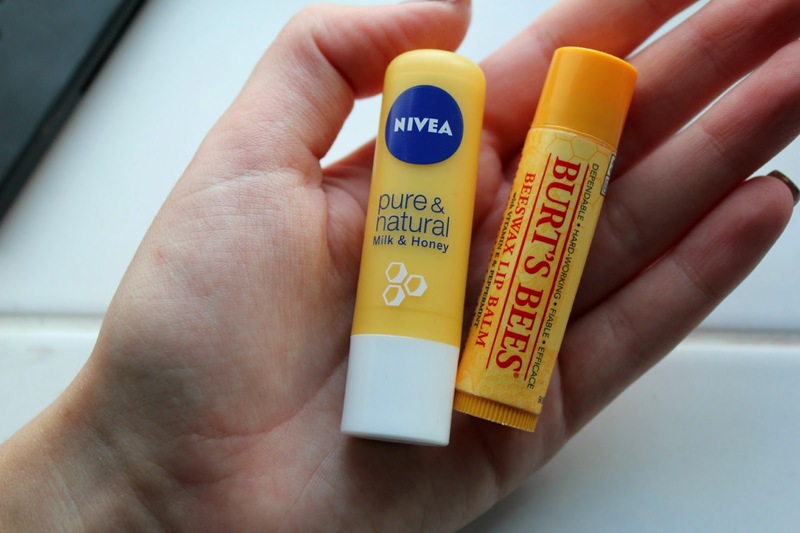 The second is the Burt's Bees Beeswax Lip Balm, in just the regular formula/scent. It's minty and refreshing and isn't as thick as the Nivea offering. This is the one you could use during the day when we want a bit of a kick of nourishment as well as a minty flavour. This is £4-5 and so isn't that expensive either and could do well as a little stocking filler this Christmas. Honestly, lip balms are one of my biggest necessities in Winter as the feeling of sore chapped lips genuinely makes me shudder.I know the Nuxe Reve de Miel is on my wishlist but until then, these serve me more than well. 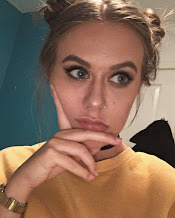 I'm such a fan of both Nivea and Burt's Bees for lip balms, I've also been loving the Clinique and Aveda Lip Balms recently too!